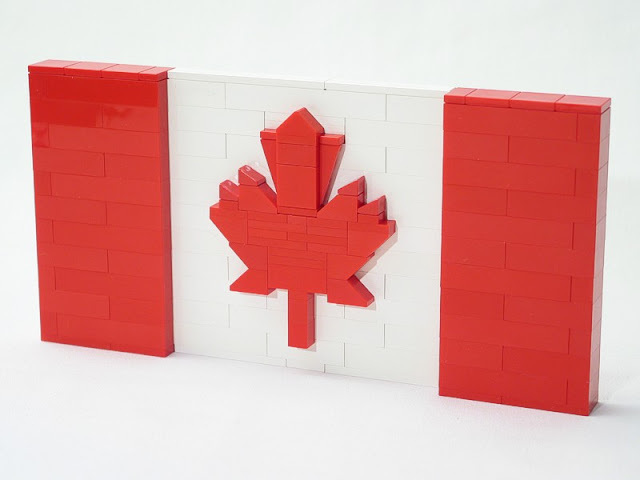 In honour of our beautiful country's 144th birthday, here's a fab little Lego tribute. Enjoy! BTW, if you need me, I'll be live tweeting over on the @CdaDayBarrhaven account. Drop me a line or share a pic if you're at Canada Day in Barrhaven. (As I mentioned before, I've been volunteered to manage their social media by hubby who is on the organizing committee ;) It's going to be a fun time, so pop on over and say hello! Image source: True Dimensions - and you can order the pieces!